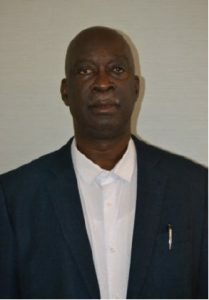 Born in South Trinidad in 1957, Joseph Remy got involved in the Credit Union Movement from the inception of his employment in the then Telephone Company of Trinidad and Tobago, TELCO in 1977 when he enlisted as a member of the Telephone Workers’ Credit Union Cooperative Society Limited, TWCU, which was based in Port-of-Spain, Trinidad and Tobago. In 1996, he joined the Consolidated Telephones Credit Union Cooperative Society Limited which was based in San Fernando, Trinidad and Tobago. It was there that he got involved in the administration of Credit Unions. He was elected to serve on the Board of Directors in 1998 and in 2000 was elected Vice-President of the Credit Union, he then went on to serve as President for six (6) years and then as Treasurer/Manager for two (2) years. Joseph also served on the South East Regional Chapter (SERC) Board of the Cooperative Credit Union League of Trinidad and Tobago (CCULTT) in the capacity as Vice-President and President. Joseph currently serves as a member of the Board of Directors of the SERC. In 2006, Joseph was elected as a Board Member of the Cooperative Credit Union League of Trinidad and Tobago (CCULTT) and was elected as the Secretary to the League Board in 2011. In 2013 Joseph was elected to serve as President of the Cooperative Credit Union League of Trinidad and Tobago. Joseph is the holder of a National Certificate in Telecommunications Technology and a City and Guilds Certification in Telephony; he also obtained the Professional Certification in Human Resources (PHR) from the Society of Human Resource Management (SHRM) of America in 2006 for the period 2006-2008, and is the holder of a Certificate in Human Resource Management from the University of the West Indies. Joseph is employed at the Telecommunication Services of Trinidad and Tobago in the substantive position of Human Resource Analyst in the Compensation Administration Department. Joseph Remy is also a leading Trade Unionist in Trinidad and Tobago and is now serving as the President of the Communication Workers’ Union, CWU, and the President of the Federation of Independent Trade Unions and Non Governmental Organisations, FITUN, the umbrella Federation for some leading Trade Unions in Trinidad and Tobago. Joseph Remy is also the Chairman of the Board of Governors of the Cipriani College of Labour and Cooperative Studies, the only Tertiary Institution in the region that provides quality educational developmental opportunities for members of both the Labour and Cooperative Movements. He assumed this position in December 2010. A true nationalist and regionalist, Joseph Remy has committed himself to the struggle for the economic independence of ordinary people and for equity and social justice in Trinidad and Tobago and the wider Caribbean Region.